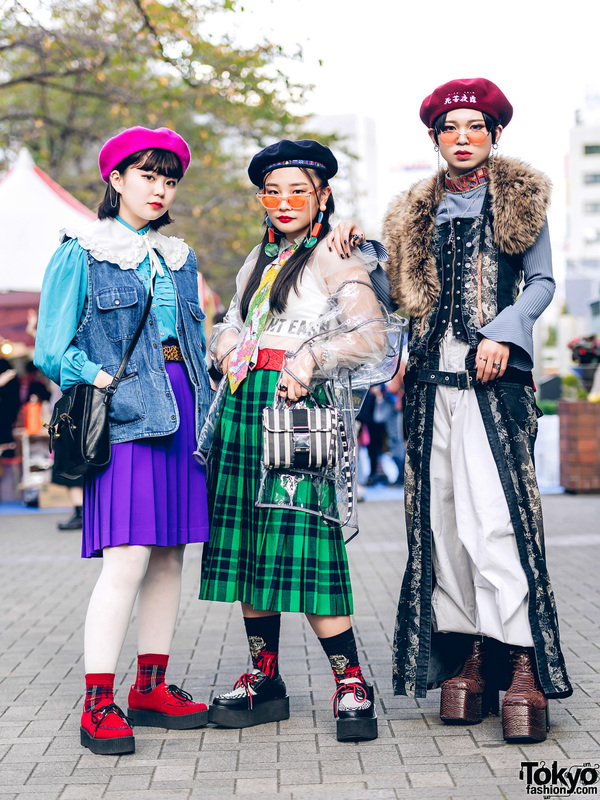 Harajuku girl dressed in a ribbed top, plaid wrap around skirt, black boots, and accessories. 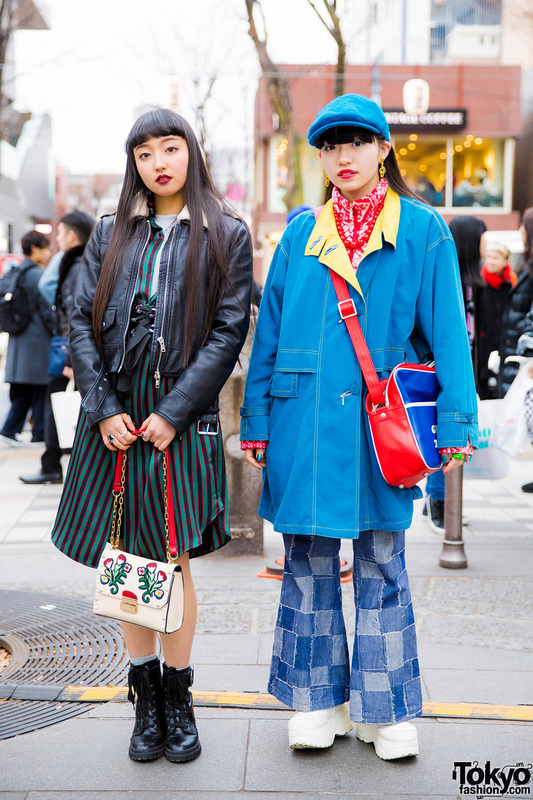 Japanese students wearing designer and vintage pieces while out and about in Harajuku. 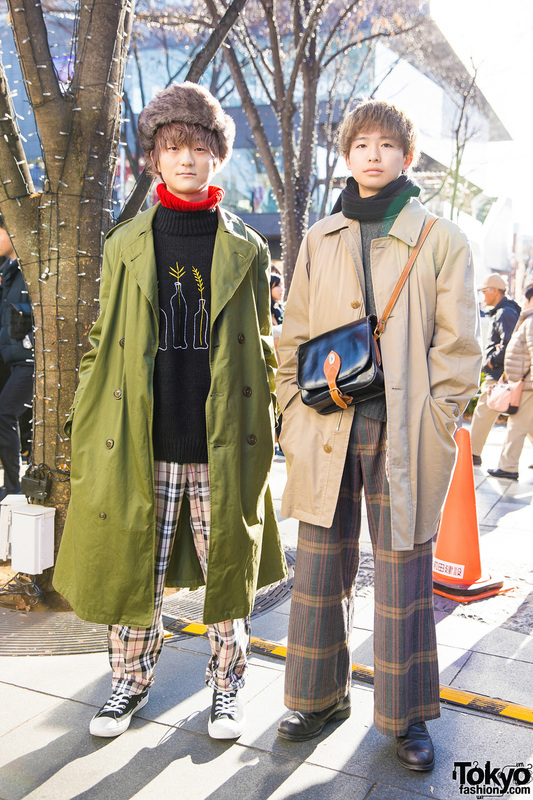 Harajuku guy showcasing black-and-red plaid street fashion. 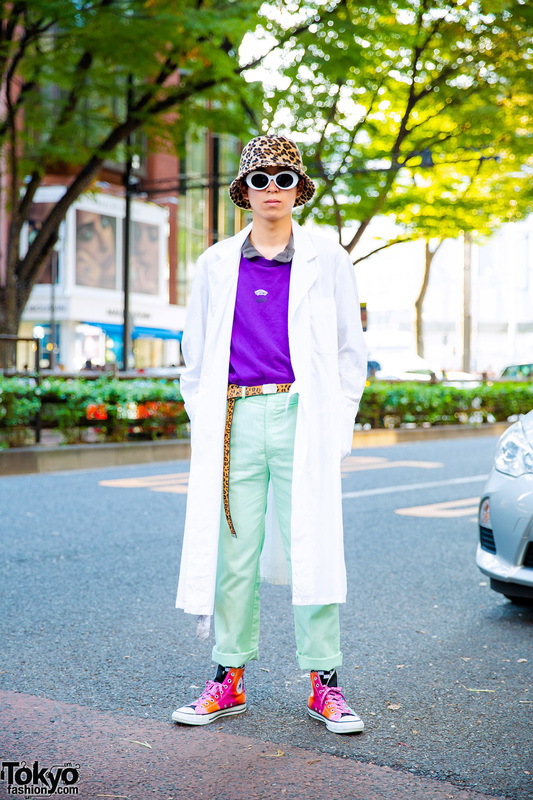 Japanese students showcasing their sophisticated street styles in Harajuku. 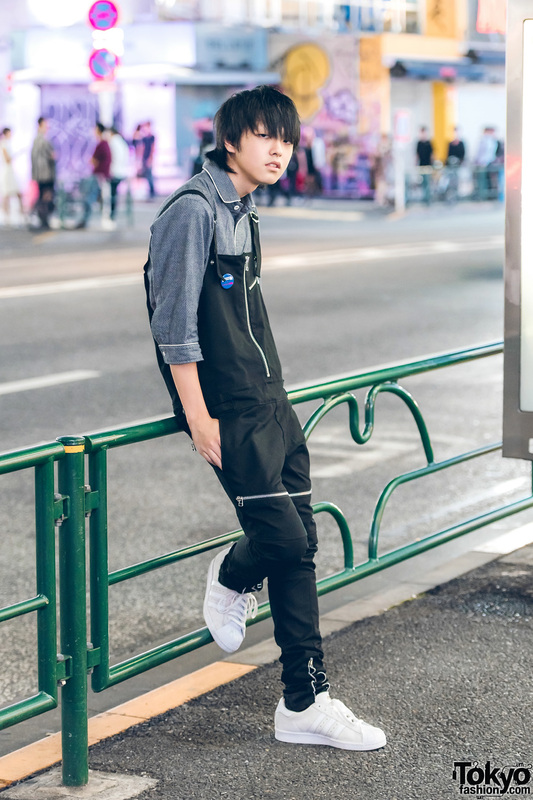 Japanese student in laid-back Harajuku street style.